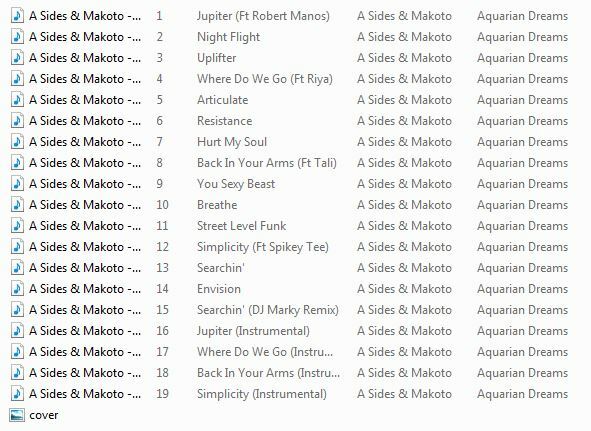 In my excitement to acquire myself a copy of Makoto and A-Sides new album, Aquarian Dreams I went and ordered two digital downloads! So I’ll make something of this and send the spare as a gift to anybody who can put up a picture on Instagram, Facebook or Twitter that best encapsulates the album for you. You have until Friday (10th of July) and I’ll pick Sat (11th of July). I’ll contact the winner to send the album to and your picture will be the next SoS mixcast front cover. Post with this info on channels so I can find your image.